Selecting the appropriate test tube for your workplace is not as easy as it may seem. There are test tubes specialized for centrifugation, PCR, culturing, and storing. For centrifugation there are filtration/concentration, microcentrifuge, conical and round bottom, as well as reusable, glass, and sterile tubes. 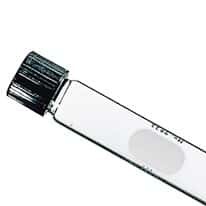 Choose from glass test tubes or plastic test tubes depending on your needs.